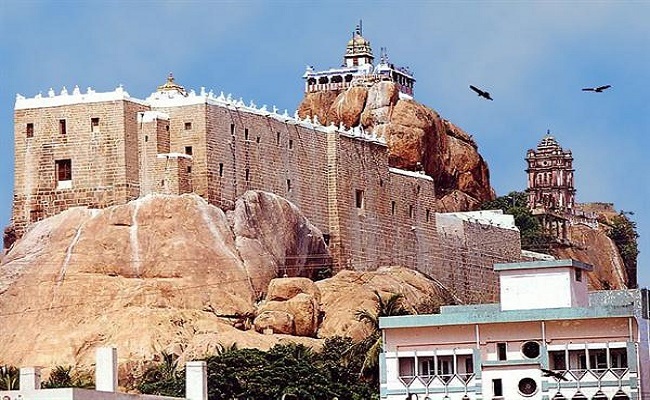 The Tiruchirapalli Rock Fort in Tamil Nadu is a historic fort and temple complex built on an ancient Rock. The fort has stood majestic through three major battles. The rock is said to be one of the oldest formations in the world, around 3.8 billion years old, which make them older than the Himalyas! 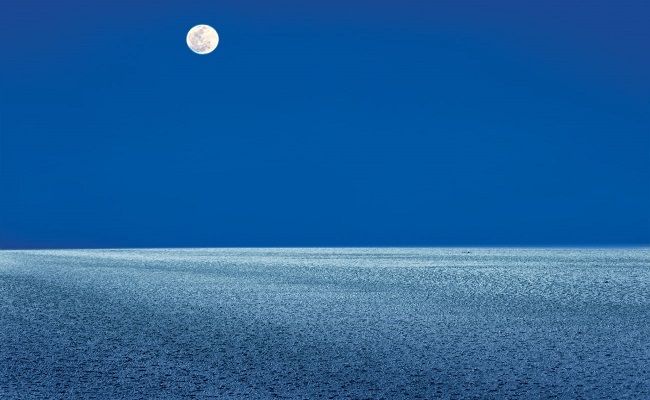 The Great Rann of Kutch is a seasonal salt marsh located in the Thar Desert in Gujarat, India. Rann translates to "desert" and this Rann is in the Kutch District. It is reputed to be the largest salt desert in the world! At night an unexplained strange dancing light phenomena called "Chir Batti" (ghost lights). Park your vehicle in the box, and switch off the engine, and get pulled "up" a hill that seems to have a magnet...sounds impossible? 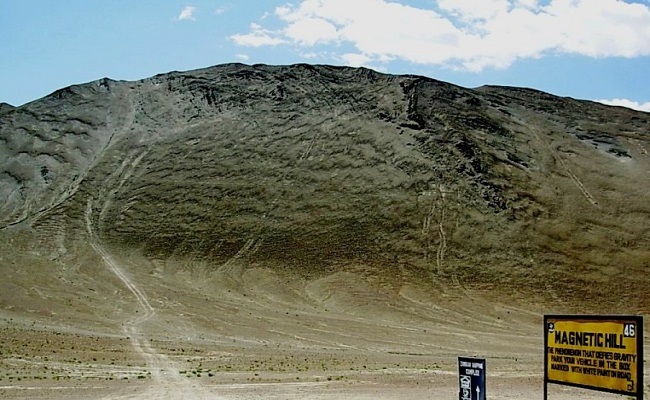 Possible at Leh in Ladakh, at a so-called gravity hill! The alignment of the road with the slope in the background can give the illusion that cars may drift upwards. 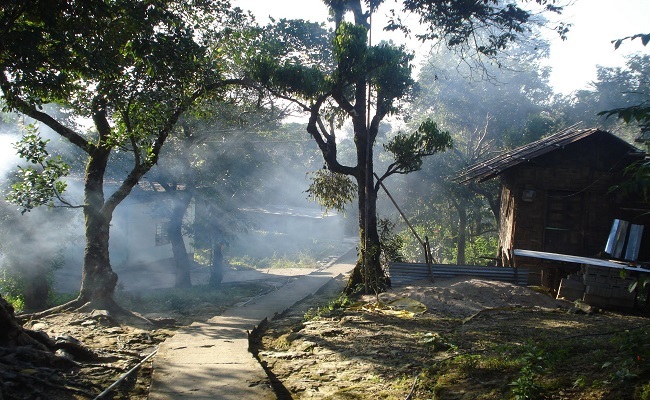 This village in the East Khasi Hills district of Meghalaya, India has a lot to boast about. The literacy rate is a 100% and it is known for its cleanliness! The village has been declared the cleanest in not only India, but all of Asia! 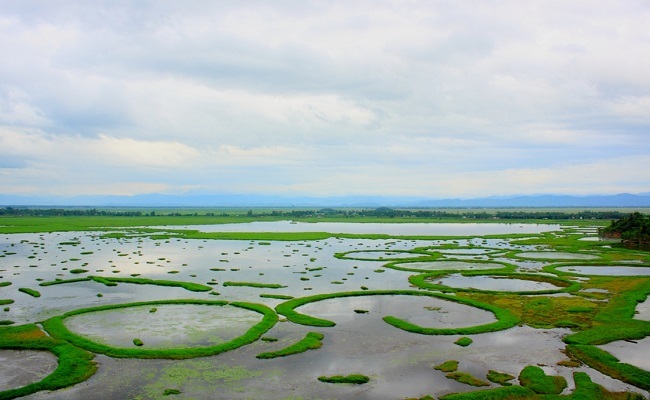 Located in Manipur, India, Loktak Lake is the largest freshwater lake in the North-East and is also called the only floating lake in the world due to the floating phumdis. There's even a national park situated in the south end of this lake on the largest Phumdi called Keibul Lamjao National Park! 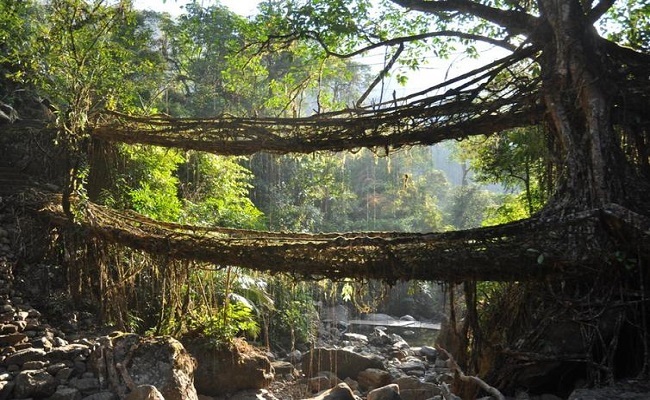 Root bridges, take ten to fifteen years to be fully functional, but they are strong enough to hold the weight of fifty or more people at a time. Believed to be the only only one of its kind in the world, one special root bridge is actually two bridges stacked one of the other and has come to be known as the "Umshiang Double-Decker Root Bridge"! 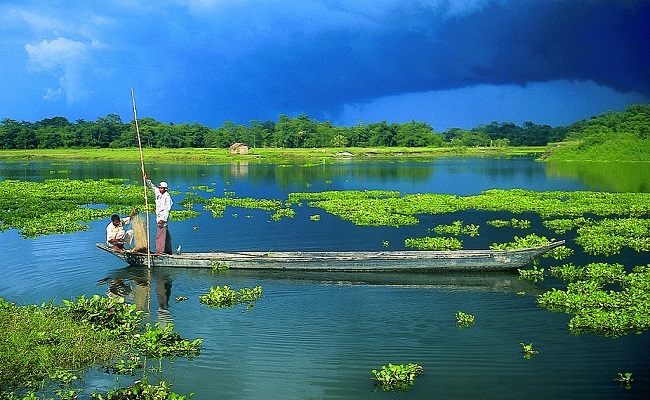 Majuli is the largest river island in the world in the world and it is located in the Brahmaputra River in Assam, India. This place boasts of unparalleled beauty. The island will cease to exist in within 20 years due to the current levels of erosion so get there as soon as possible!